Royal purple & a dash of pink, crystal clarity, fantastic fire. Colors like this are not so common from the legendary Mogok. Naturally untreated this sapphire will surely please its lucky new owner. Crystal clear clarity with great fire and luster. Mixed cut oval shape. Approximate dimensions are as follows: 5.5 mm x 3 mm and weight is .85ct. 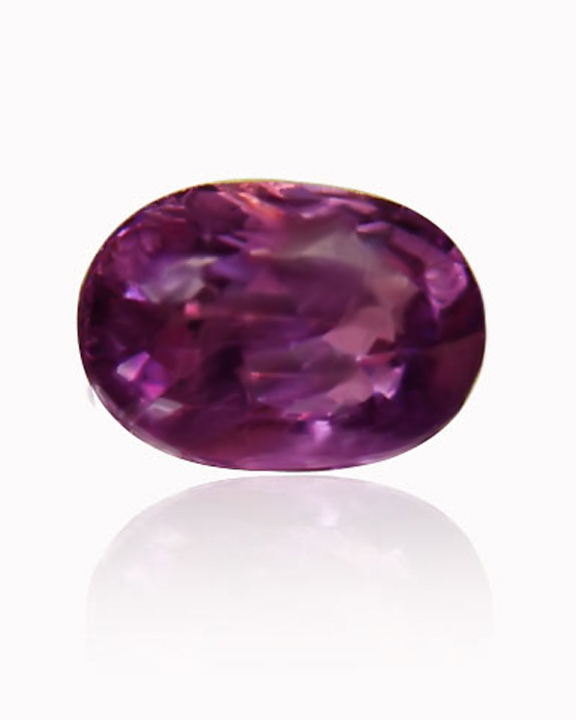 This sapphire comes with a copy of a independent lab identification / origin report. This sapphire will brings good luck, peace and prosperity. Sapphire is said to be very helpful gemstone, often used to treat skin, eye disorders and to ward off infection. Head office: 77/30 FL., 11 Sinsathon Tower, Klongsan, Bangkok 10600. Australia office: 37 Howe Street, North Cairns, Queensland, Australia, 4870.